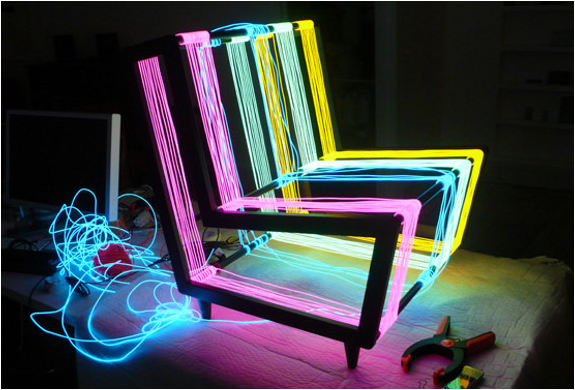 This chair was created by Kiwi&Pom for Walppaper Magazine, for our dismay it is a concept chair. 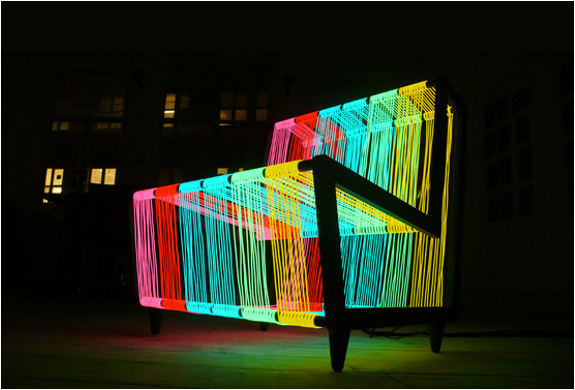 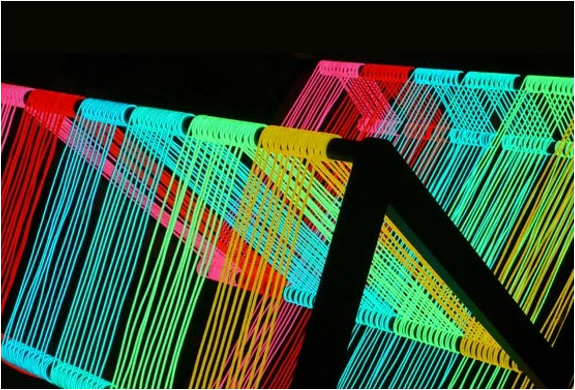 This illuminated furniture concept is made of 200 meters of electroluminescent wire, it transforms itself into a neon rainbow when powered. 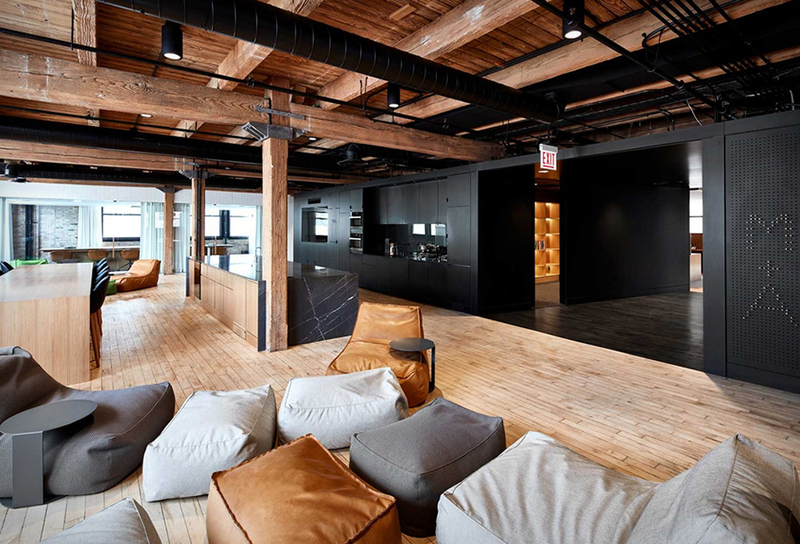 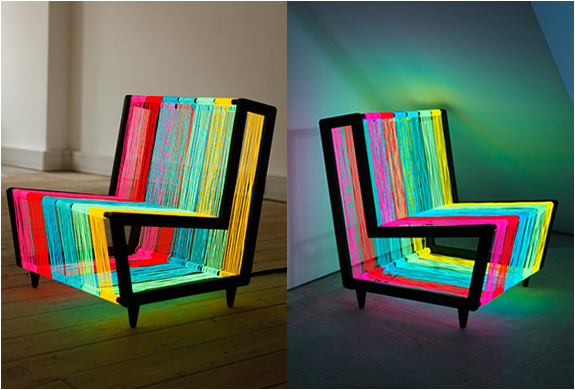 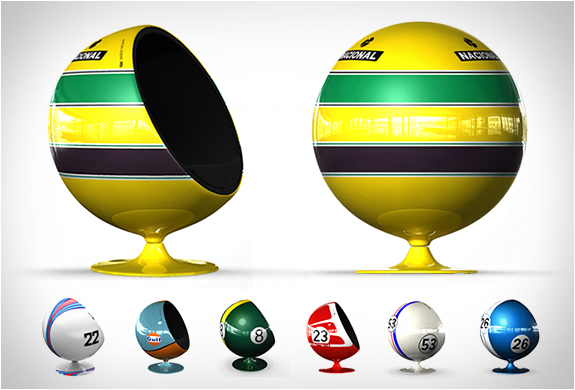 The chair shines in a rainbow of color, and can be switched to a flash/pulse mode for a disco-style lighting effect.